Our newest brush is made with a mixture of Thunderon®, a conductive filament, and Goat hair. Thunderon® is a very fine (0.0015 diameter) acrylic fiber chemically bonded with copper sulfide. The special fiber will dissipate a charge on any electrically charged surface. The ultra soft goat hair makes this brush perfect for your vinyl records. The surface resistivity of Thunderon® is 10-2Ω/cm. The plastic handle is dissipative with a surface resistivity of 105Ω/cm. Combination of wool and carbon to reduce static from LPs, resulting in a lower noise floor on playback. 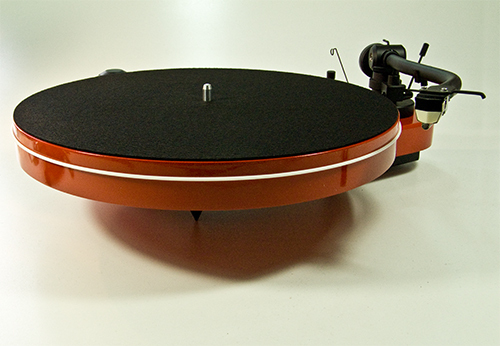 The Tonar Nostatic mat is 3mm thick and prevents build up of static on your LP''s. Can be used in conjunction with other mats or on it''s own. If you are having issues with static this mat will help to stop static build up.